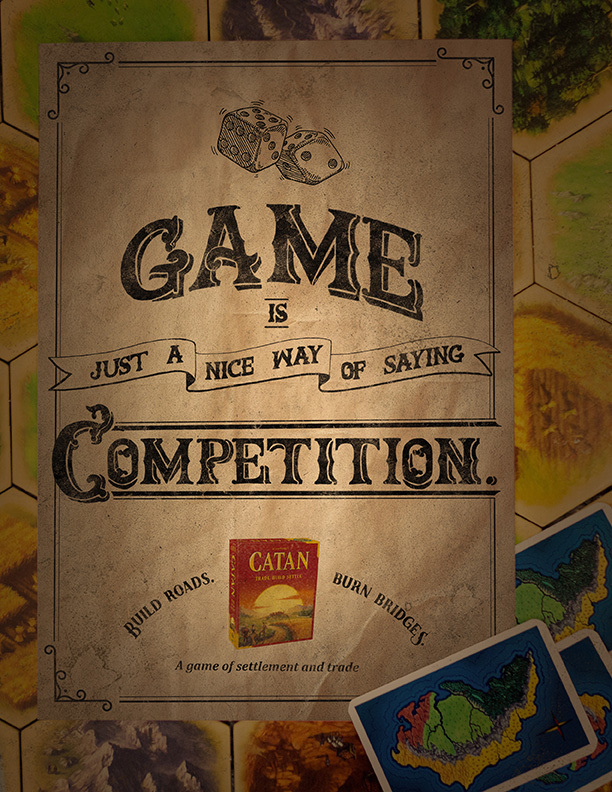 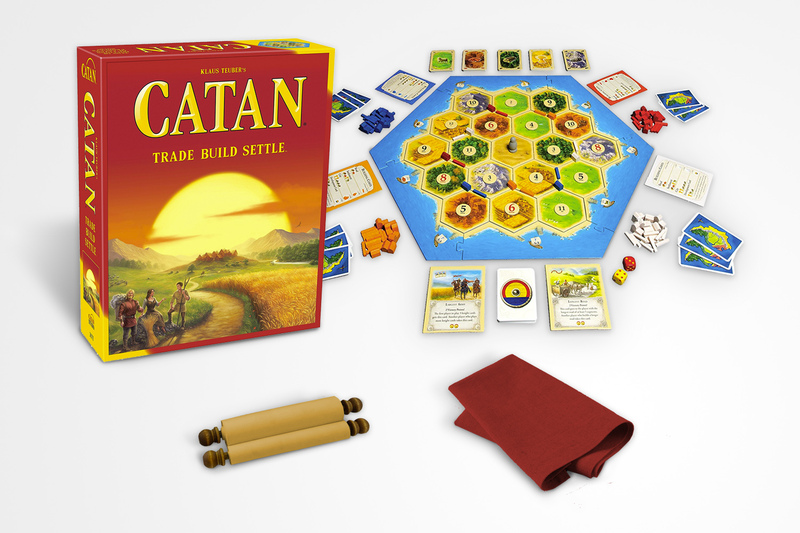 Playing Settlers of Catan gets so intense, it’s risky to play with friends. 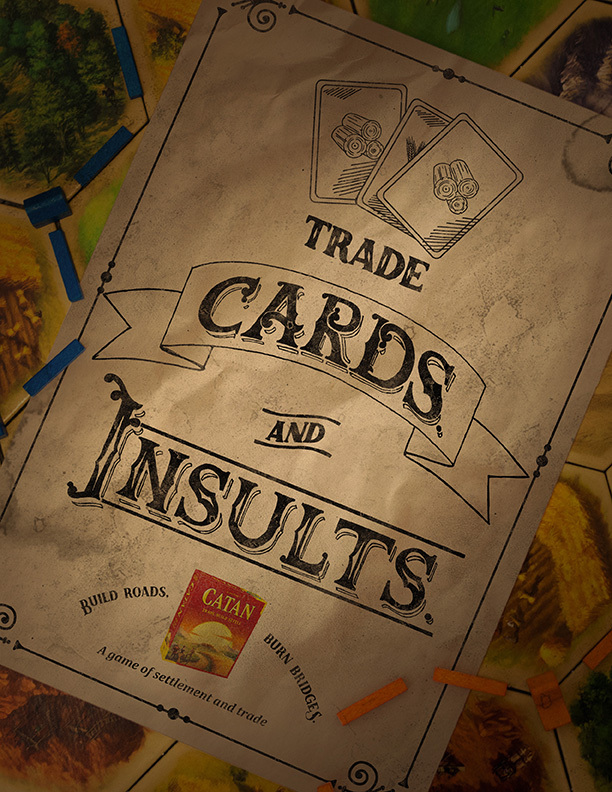 Players can send e-cards to talk a little smack to their friends before or after the game. 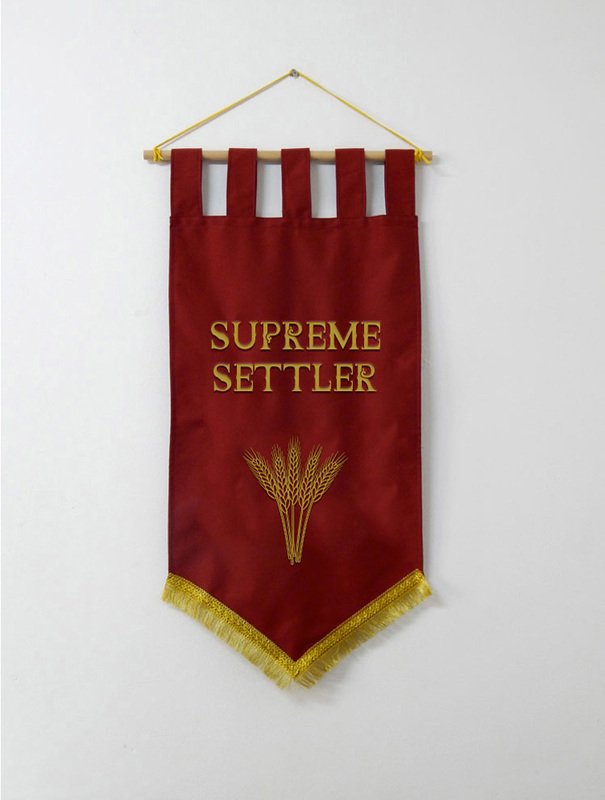 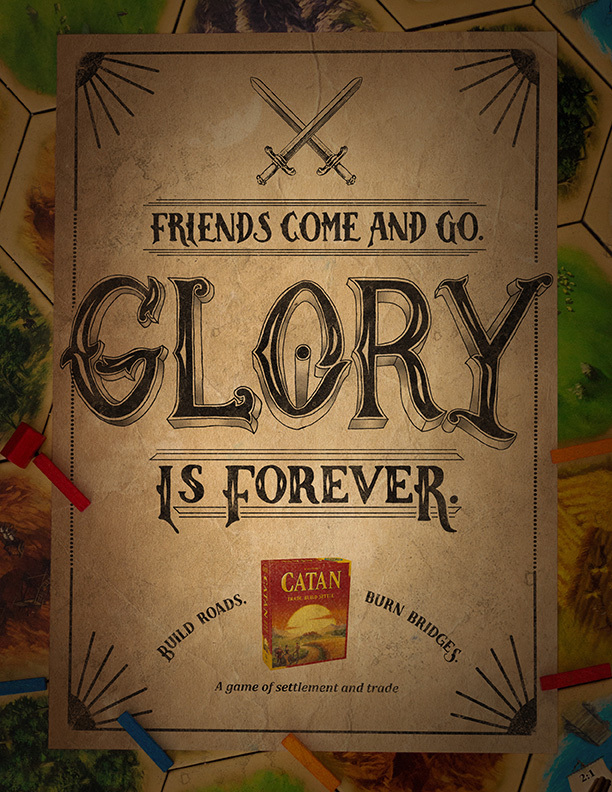 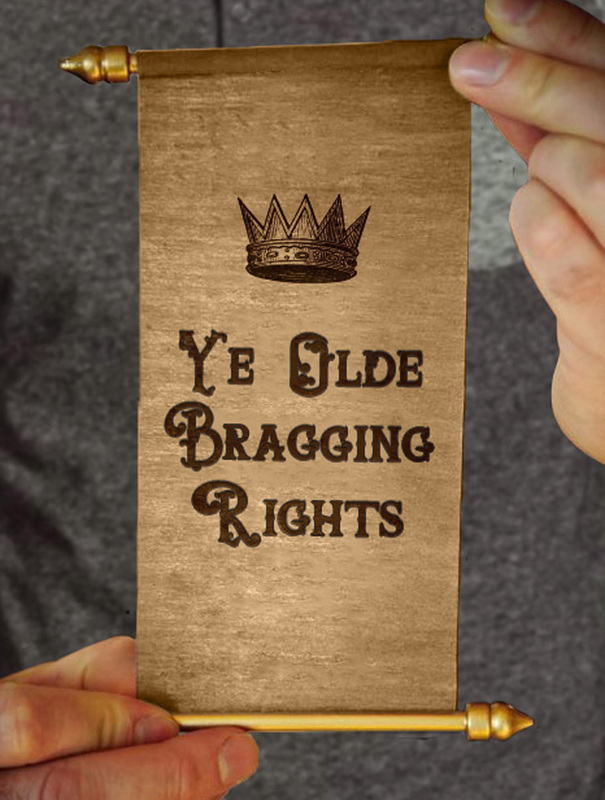 Inside every game box are bragging rights and a victory flag to taunt your friends after you win.